Gujarat Chief Minister and BJP campaign committee chief Narendra Modi may have ‘no Prime Ministerial dreams’, but the stage made for him in Chhattisgarh indeed depicts the buzz around him being named the party’s Prime Ministerial candidate. “Perhaps Modi has realised that he would never get a chance to hoist the flag at the real Red Fort, so he is resorting to this,” NCP leader Tariq Anwar said. The buzz around ‘Modi as PM’ seems to be growing ahead of the crucial co-ordination committee meeting of the RSS, BJP, VHP and other Sangh Parivar outfits being held in Delhi on Sunday. Top RSS leaders met in Delhi on Saturday to finalise their agenda for the meeting with BJP leaders on Sunday. Sources say they dicussed arguments put forth both in favour and against anointing Gujarat Chief Minister Narendra Modi as Prime Ministerial candidate before the Assembly polls. RSS chief Mohan Bhagwat, as well as senior leaders Suresh Soni, Bhaiyyaji Joshi, Krishna Gopal, Manmohan Vaidya and Madan Das Devi are attended the meeting. Sources say senior BJP leaders LK Advani and Sushma Swaraj have already made clear to RSS chief Mohan Bhagwat their opposition to Modi’s elevation ahead of assembly polls. Sources told CNN-IBN that Advani and Sushma, who met the RSS chief to discuss Modi’s anointment, also conveyed that the party wants to consult Goa Chief Minister Manohar Parrikar and Madhya Pradesh Chief Minister Shivraj Singh Chouhan before naming him as party’s prime ministerial candidate. 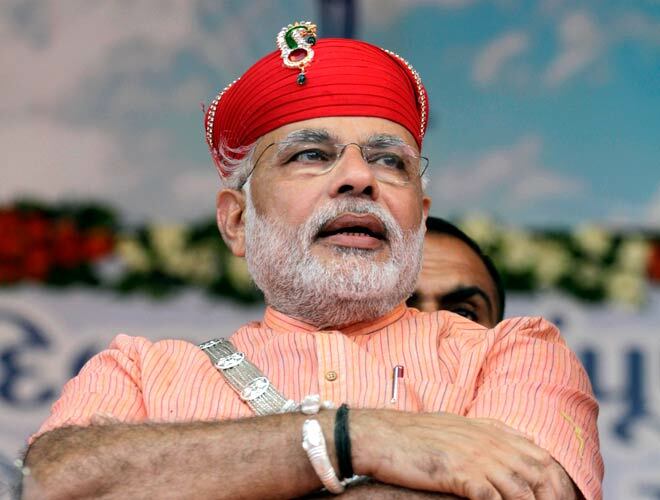 On Thursday, Modi had told a group of students in Gandhinagar he doesn’t dream of being the Prime Minister. During a Teachers’ Day function, the Gujarat Chief Minister had said that his priority is the people of his state who have elected him till 2017. The party is still in a quandary on naming Modi. Parrikar, was on Friday, forced to clarify his remarks on the anointment of the Gujarat Chief Minister as the Bharatiya Janata Party’s Prime Ministerial candidate. Claiming that he has been misquoted, Parrikar said that he completely backs Modi as the PM candidate. “Media quoted me irresponsibly, picking up words they wanted to. We strongly support Modi and he is a good administrator. I strongly advocated for Modi in that interview. It’s manipulation,” Parrikar said. Meanwhile, Madhya Pradesh Chief Minister Shivraj Singh Chouhan also reacted to reports that he asked the BJP top brass to delay Modi’s elevation. “In the BJP, the party is supreme and it will decide and declare the PM candidate at the right moment. Any speculation in this regard is avoidable. Reports in certain sections of media around my objection to Shri Narendra Modi being declared as PM candidate are baseless and misleading,” Chouhan replied in tweet.